The Catalog 154 mortise type door opener is a dependable long service device, providing the security and convenience of remote control door-lock operation. 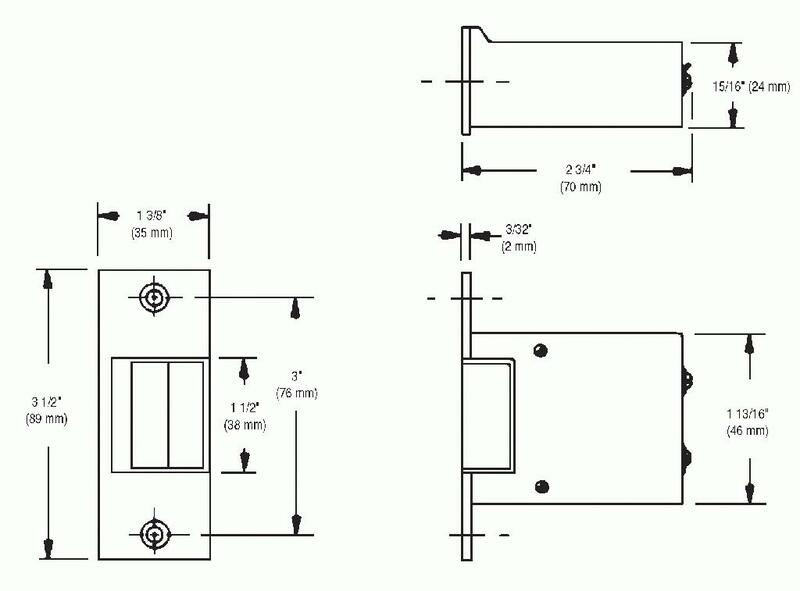 This unit flush mounts in place of the regular door strike plate and will withstand 35 lb (15.88 kg) nosing pressure. The door remains locked until the opener is electrically actuated by a remote contact device. For AC models, use with either an 88-50, 598 (154-AD), or 599 (154-G5) Transformer.